In this third volume we see the protagonists each struggling with their own demons, both real and psychological. Raven's sense of futility and despair. Richard's perceived failures. Susan's self-imposed guilt, all while poor little Cairo learns to kill. There is a lot going on in this book! 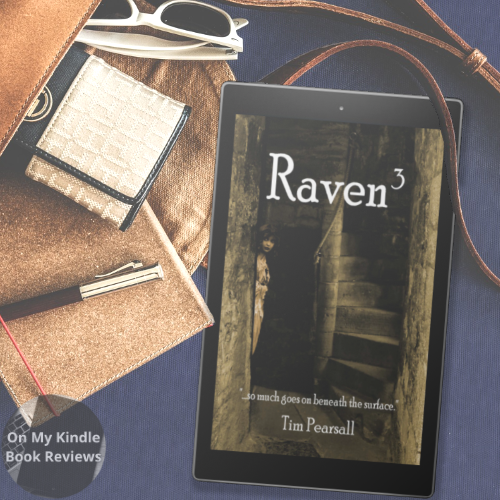 Raven continues her search for Cairo, Richard is still trying to make his way back home, Susan's been possessed by a demon, and Cairo is struggling to avoid being overwhelmed by ghosts and is learning more about her dark side. I've followed Pearsall for a few years now and there is something about his writing style that differentiates his books from others I've read. It's the way he transitions between different characters' points of view (POV) and how often these transitions occur. Most of the authors I follow tend to use chapter breaks to change the POV; however, Pearsall defies this convention by changing POVs at least two or three times per chapter. Oddly enough, since he sticks with a certain POV for only a few pages, it's easy to keep track of the different plot points and characters. I have grown to like this as it keeps me on my toes and engaged in the plot. There are many reasons to stay engaged in the plot. The settings are exotic locales and Pearsall provides a generalized description of these different locations while leaving some of it up to our imaginations. The characters are memorable, witty, and quirky; they are odd but not creepy-weird. Well, okay... the antagonists are creepy-weird, which works for me since I don't want to root for the antagonists. I find myself drawn to Raven's daughter, Cairo. She is a mixture of darkness and light, pragmatism and naivete; if Wednesday Addams had a little sister, I imagine she'd be a lot like Cairo. I also like Raven, she is to Pearsall what Lestat is to Anne Rice. Some readers will think of her as a protagonist, others will think of her as the antagonist, but I see her as a bit of both. Either way, she's an almost timeless being with a rich history that is hinted at. The plot has more of an adventurous feel than a horror, it's more of a "Penny Dreadful" type of horror than a Stephen King or Dean Koontz type of horror. 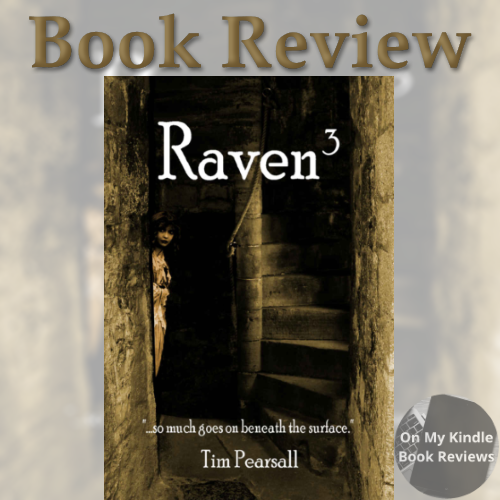 Between the penny dreadful elements and a protagonist that is reminiscent of Anne Rice's, Lestat, Raven 3 is sure to become your new guilty pleasure. I hope that Pearsall continues this series soon as I'm dying to find out what happens next! Find all of the Raven books! 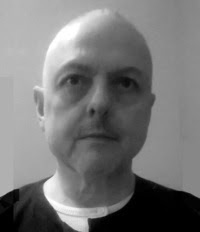 Tim Pearsall, author. Courtesy of Goodreads. Timothy Pearsall was born in England and grew up in the industrial West Midlands known as 'the black country'. As a young man he moved to London where he began to write fiction as a hobby. The hobby was largely shelved for several years when he married and had children. He now lives in Norwich, England, and works in local government. 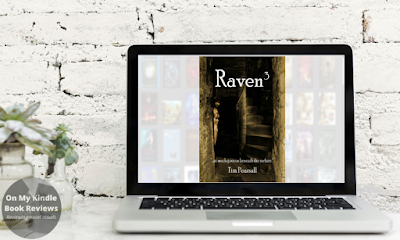 Now that his children are grown up and he is widowed, he is able to spend more time writing, he has updated and renamed his Domina Mortis/Evelina books and released Raven as the first in a dark paranormal series. 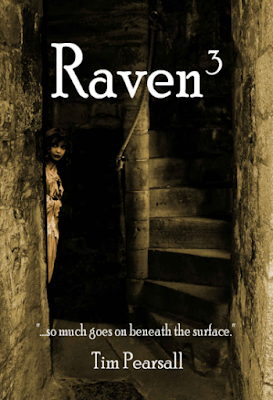 He describes Raven as a "dirty and Stabby" supernatural soap heroine. He describes himself from the Desiderata poem as an off-the-peg person 'going placidly amid the noise and haste'.